Global Champs for Google. A team of four Bauer MBA students, including (left to right) Jeffrei Clifton, Erin Blatzer, Carolina Thomas and Lauren Davis, bested the rest in the Google Online Marketing Challenge for their campaign for the Houston Symphony. Google announced today that a team of four MBA students from the University of Houston C. T. Bauer College of Business are the global champions of the 2011 Google Online Marketing Challenge. The team, comprised of Erin Blatzer, Carolina Thomas, Jeffrei Clifton and Lauren Davis, is the first-ever group from North America to win the competition, which has been held annually since 2008 and gives college students across the globe the chance to show off their skills in advertising, ecommerce, integrated communication, management information systems, marketing and new media technologies. This year, more than 35,000 students in 4,429 teams competed from 68 countries, with the UH Bauer student team coming out on top, winning an all-expenses-paid trip to Google’s headquarters in California, Googleplex. “It’s satisfying to see our students serving as a resource to a local organization like the Houston Symphony, especially in such a cutting-edge aspect of marketing,” she added. To begin the process, student teams selected a client — the Bauer team chose the Houston Symphony — and analyzed the company’s business and marketing needs. Then, teams drafted a pre-campaign report, according to a rubric provided by Google. After submitting the report online, teams were given an online AdWords account and $200 provided by Google for a three-week campaign. “The $200 turns out to be perfect because it causes the teams to be very careful and measured with their execution, constantly analyzing for the smallest results for continuous improvement,” said Steven Koch, executive professor and director of the college’s Business Consulting Lab. Koch teaches the course designed to prepare students for the competition. In order to be accepted into the class, students had to be interviewed and complete a course in Internet Marketing and Ecommerce. The team’s post-campaign report was evaluated by Google on 30 performance metrics grouped into five constructs — account structure, optimization techniques, account activity and reporting, and budget and performance. This is the second year for UH Bauer to enter a team into the competition. Last year, a team of four MBA students were semi-finalists, finishing in the top 100 out of more than 3,000 teams, for an online marketing analysis of Uptown Park’s Crave Cupcakes. What you all accomplish is an amazing feat that not only bought glory the golden ticket home, but also made Bauer shine. Congratulations once again to you and Professor Koch. Look closely at the future of understanding web marketing. These four outstanding MBA graduates at U of H represent a keen understanding of local and on line potentials. Hire them immediately and pay them very well. Congrats Erin and team. We are so proud of you! What a huge accomplishment. Your parents must be so proud of you all – JOB WELL DONE! It is an honor to announce that Erin is from one of the smallest cities in the USA (Meadows Place, TX) less than one square mile in size, a graduate of Dulles High School. Erin got a great start in life from her amazing family here in our family-oriented town. City of Meadows Place honors one of their own – I can’t wait to forward this to the Mayor for our monthly newsletter. http://www.cityofmeadowsplace.org! Erin – I can’t wait to read more about how you change the world for the better! AMAZING news! Congrats to the entire team, especially my friend Erin! Excellent and very well deserved. Congrats ladies, I am super proud you and definitely wishing you the very best moving forward. .
35,000 students in over 3,000 teams from more than 95 countries, – and Bauer MBA is #1.
wow. That is awesome. Lauren also graduated from Dulles HS. Way to go ladies!! A well deserved win! As Carolina’s mother I want to express my utmost pride to her and to the 3 extraordinary young women standing with her and to their tremendous professor for this great and well deserved honor. She is our first born and has blazed a mighty trail for her 2 younger sisters to follow. She never ceases to amaze us and we love her dearly. Congratulations darling girl! Your future has no limits. Congrats!! What an outstanding achievement for all of you. Special greetings to Carolina – could not be more proud of you. I had the pleasure of taking Koch’s Internet Marketing & E-Commerce course so I know how important this win is to him. Way to go, ladies! I’m extremely proud of you!!! Great work Jeffrei! We’re so proud that you are a Manship grad. Miss you. What a wonderful achivement for all of you. Erin, we know you always give 100% We have always treasured your parents friendship and love hearing all about your achievements! Thanks for making all of us alumni look good!! Congratulations, team, for raising the Bauer standard that much higher! What an awesome result! Sounds like it was an incredible amount of hard work, but that it paid off in spades. Congratulations Ladies!!! that’s a super achievement. You made us all proud! Ladies, Congratulations on such a competitive accomplishment. When I read the article, I couldn’t believe who you all were competing against. The Houston Symphony must be pleased with the online marketing results, as well. As a recent Bauer MBA graduate, thanks for representing UH at its best. Congrats ladies. You made everyone at Bauer proud, especially your fellow Bauer MBAs! Way to represent! 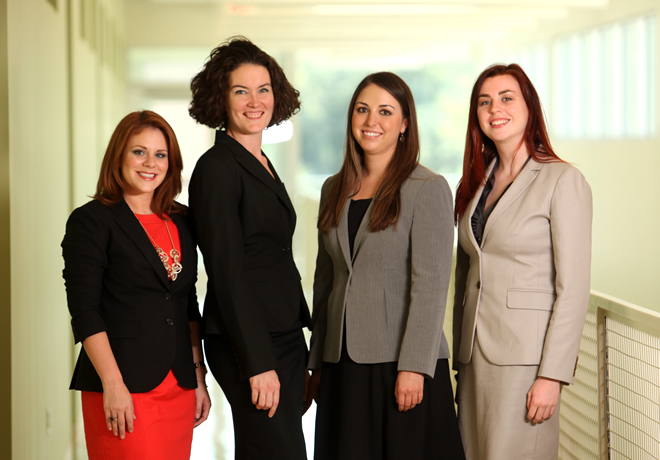 Let’s hear it for the Bauer women MBA students who blew the lid off this competition! You do great honor to our program, and provide inspiration for those who come after you .I’m proud to know you all, and hope this brings you closer to your dream jobs. The fortitude exhibited by this team is incredible – from commitment to completion to competition. Congratulations! On the eve of Houston’s 175th birthday, you made all Houstonians very proud of YOU 4! An exceptionally talented team. Congratulations! Excellent! Way to go, ladies! Congratulations! Very, very impressive to come out on top of a really tough competition. You make all us Coogs proud. Pingback: what time is it? google time. | nerd alert! I am absolutely proud of Bauer, my classmates and my professor!!! This is such a great accomplishment. Bauer will be the leading school in digital marketing worldwide. Kudos for such an amazing team!!! I can’t say enough that I am so proud!! Congratulations!! Great job in helping out a good cause…, You should be proud of yourselves! As it’s not easy looking at all that competition. Way to go! What a great accomplishment. Go Coogs! How cool is that? This makes me so proud to be a Coug. Way to go ladies! You are laying to path for other young women to follow in your footsteps. Very proud!